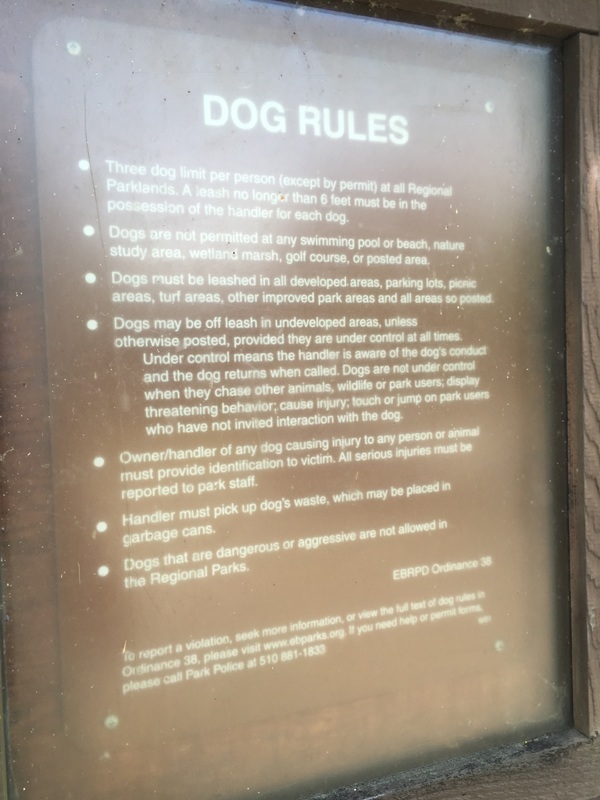 Dog Rules: Dogs allowed off-leash in undeveloped areas if under voice control. Dogs are not allowed on the pier or in the water. 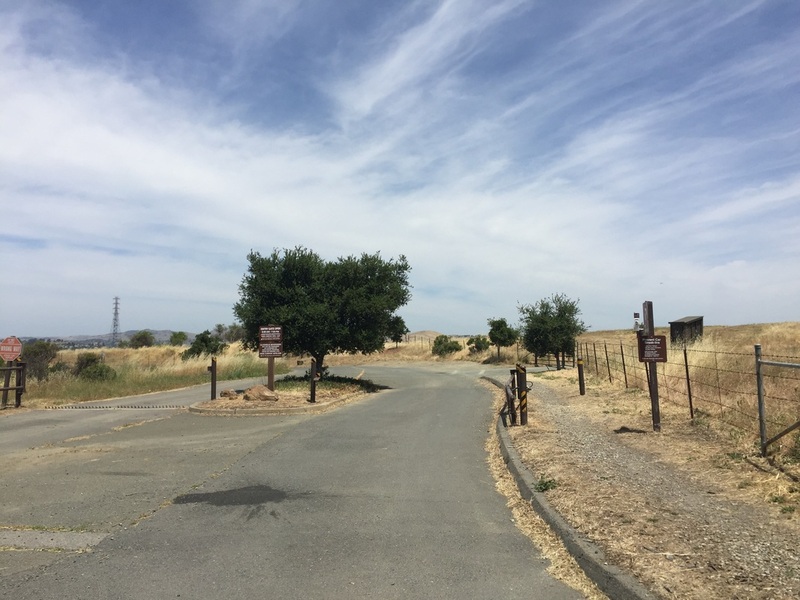 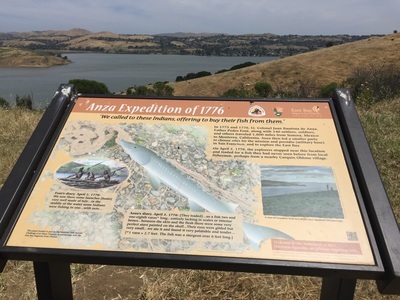 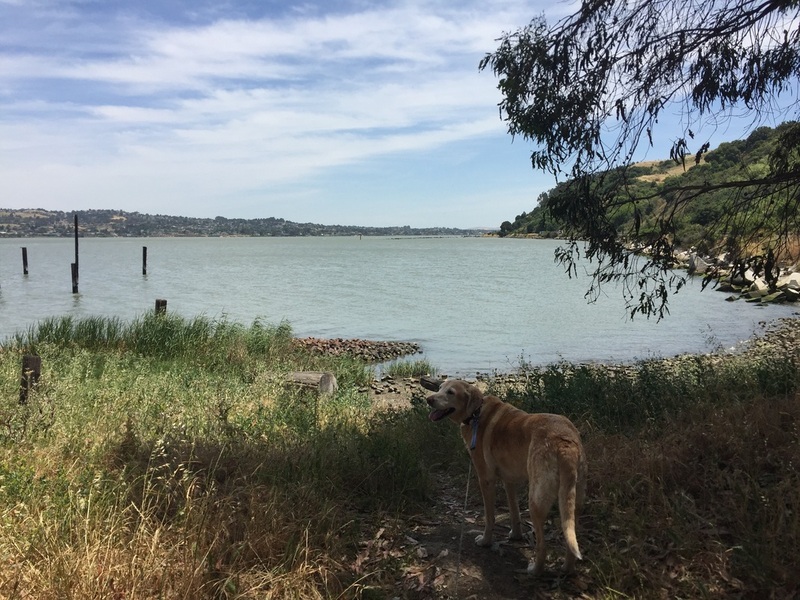 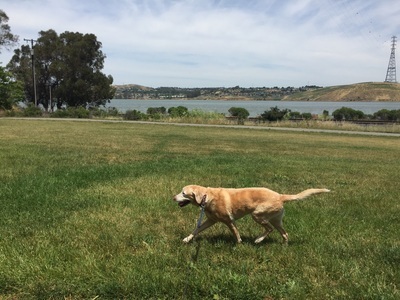 Description: This 1,414-acre park offers views of the San Pablo Bay, Carquinez Bridge, the marshes of Benicia, Mount Tam, Mount Diablo, Briones and Las Trampas parks. 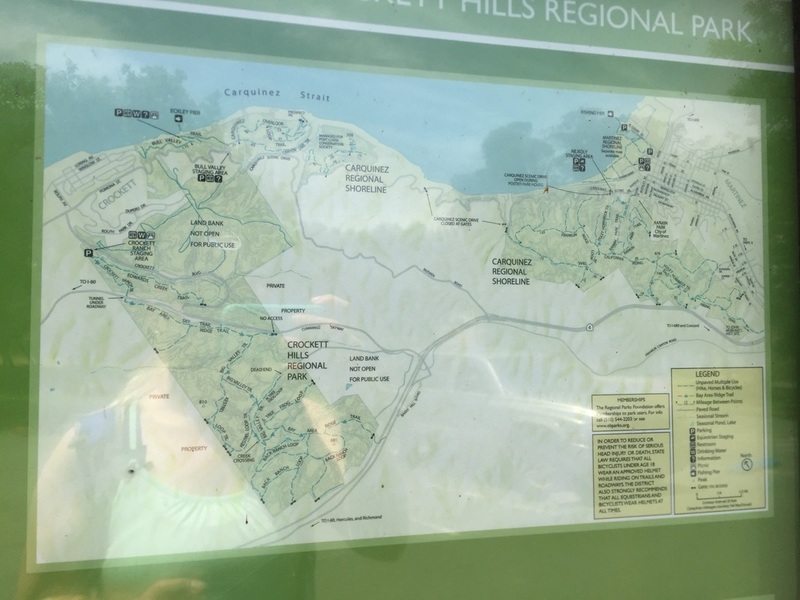 The park is separated by private property, with no connecting trails, so you can choose to begin your hike on either side. 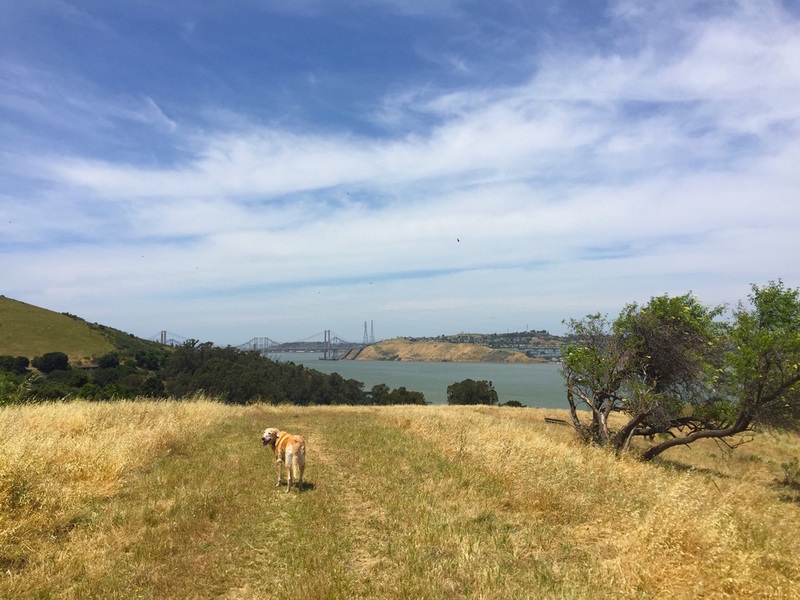 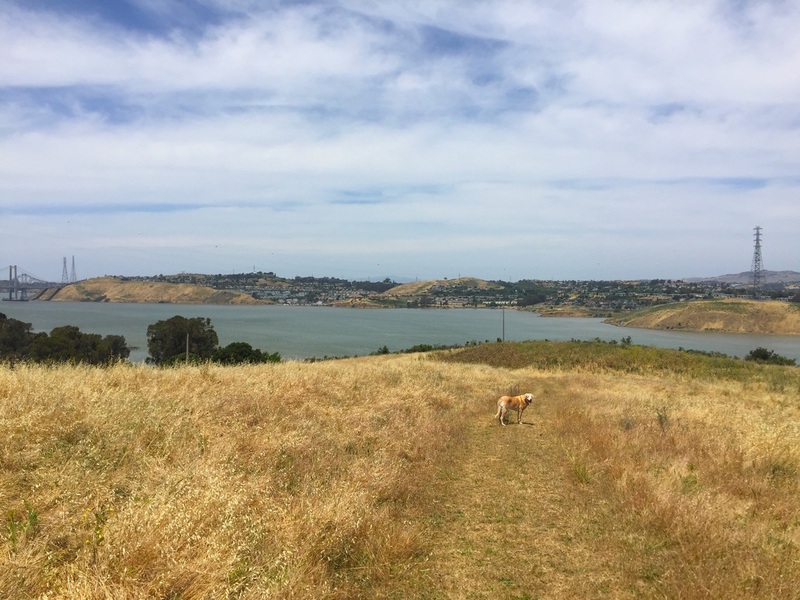 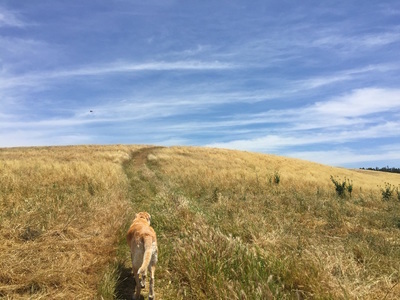 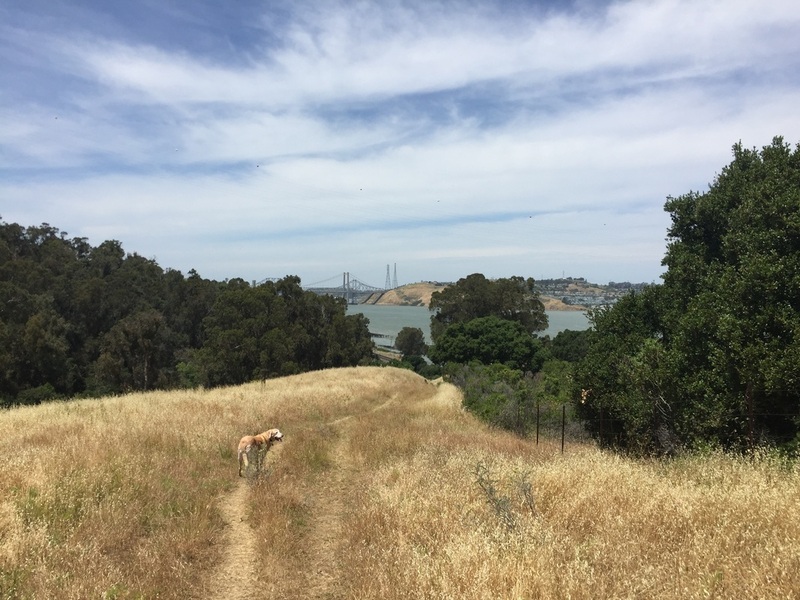 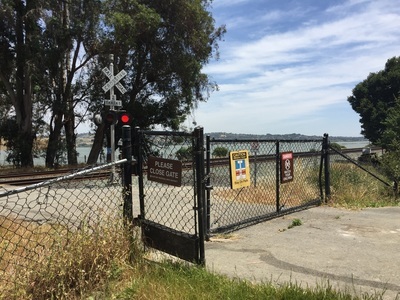 If you begin your hike on the Crockett side, you’ll find shoreline trails as well as ridgetop trails on the grassy hillside, with a great view of the Carquinez Bridge. 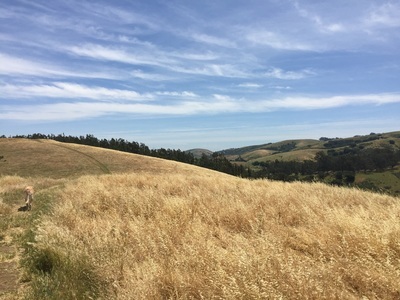 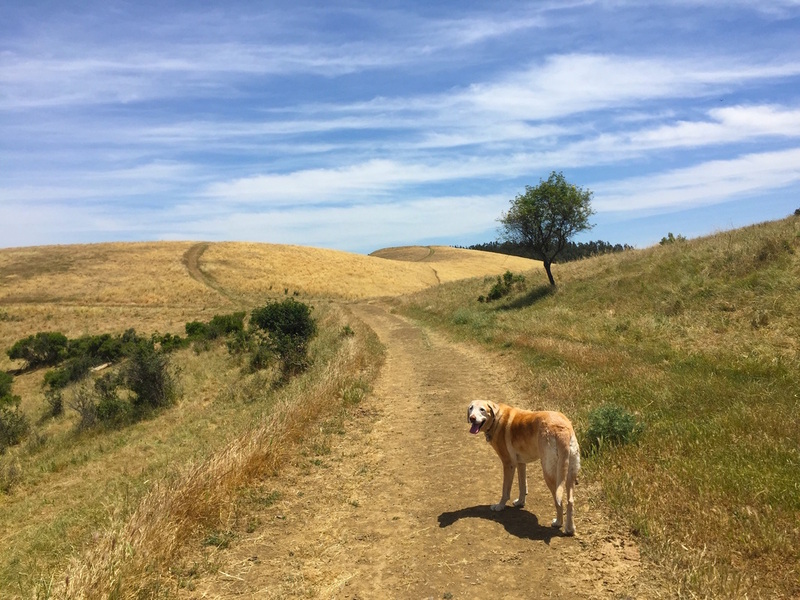 Or, you could begin your hike on the Martinez side, which comprises a larger area, and has more challenging trails, with an elevation change of up to 600ft. 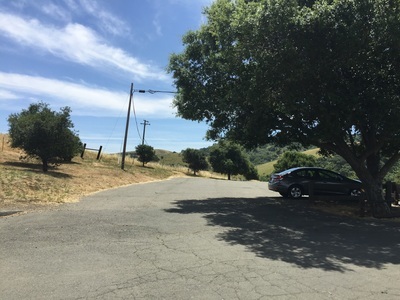 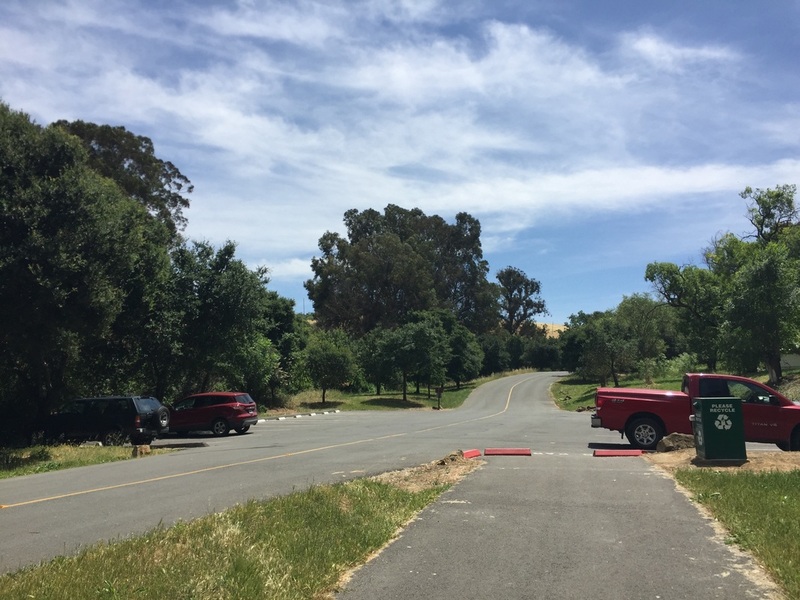 This side has ridgetop views of the San Pablo Bay and Mount Diablo, as well as some shady wooded trails lined with oak, bay and eucalyptus trees. 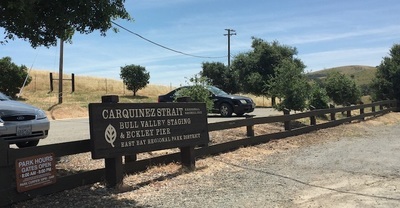 For our hike, we explored the Crockett side, starting from the Bull Valley Staging Area. 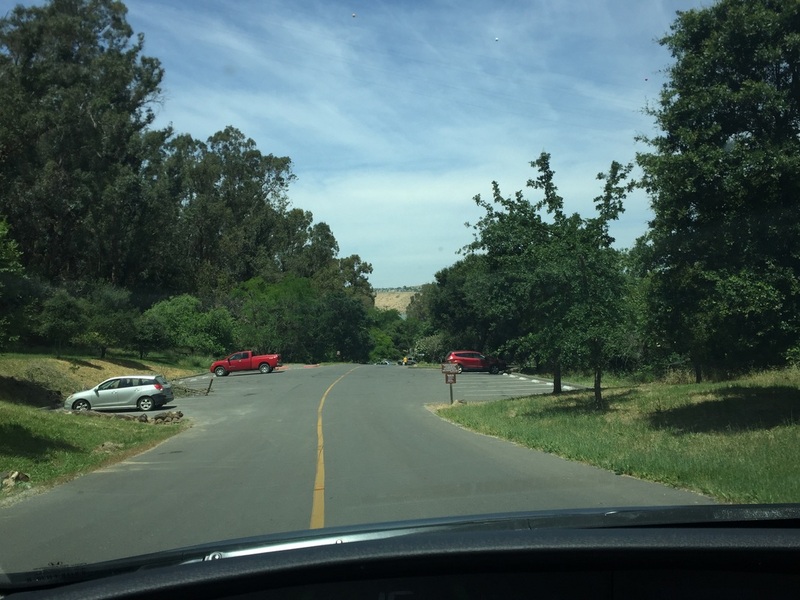 You can either park immediately to your right after entering, or head down towards the Eckley Pier. 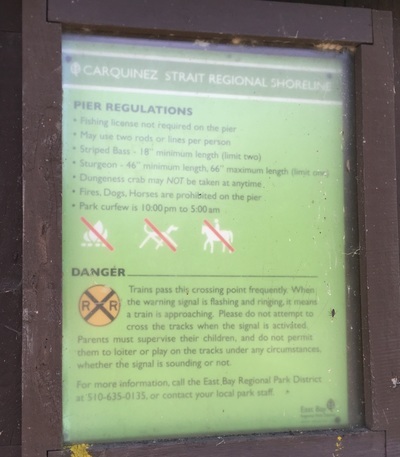 Dogs are not allowed on the Pier, but there are some shoreline trails to explore. There is a train that comes by here often, so if your dog is afraid of loud noises, you should stay on the upper trails. From the upper trails, you can explore the Carquinez Overlook, which yields great views of the bay, and you can head down towards the pier for an expansive view of the Carquinez Bridge. If you hike down, you will have to hike back up about 200ft. 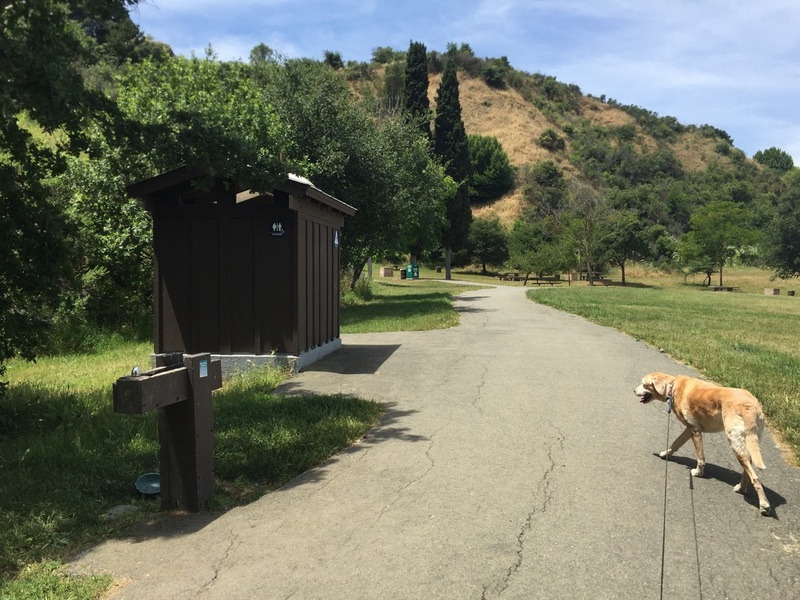 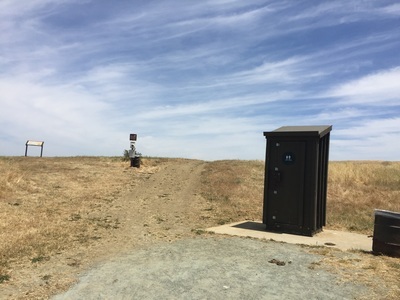 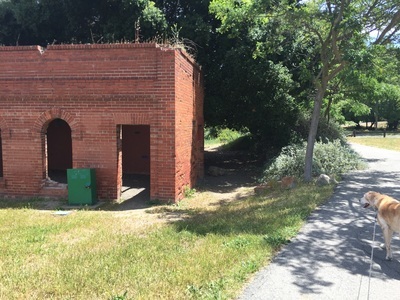 On the Crockett side, at the Bull Valley Staging Area, the park has a pit toilet and garbage cans near the entrance to the upper overlook trails. There are picnic tables, running water and a flushing toilet at the starting point near the Eckley Pier.